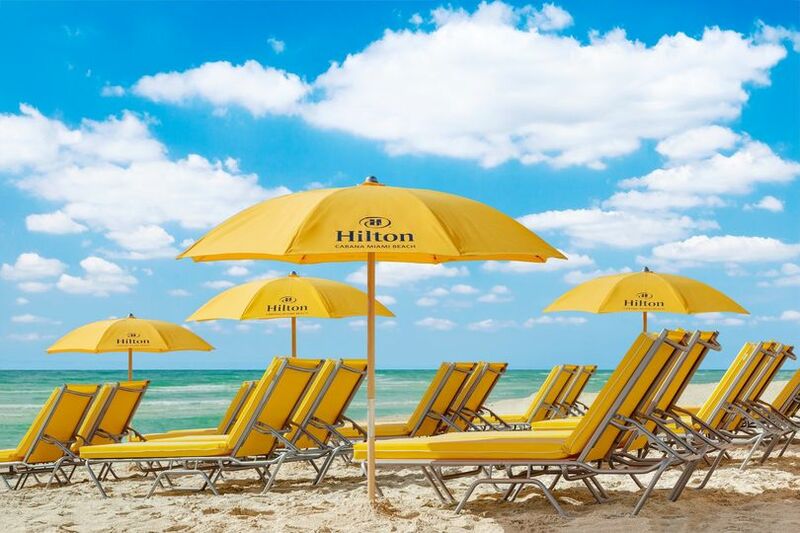 The Hilton Cabana Miami Beach is a beachfront hotel wedding venue located at Miami Beach, Florida. This wedding venue is a tropical oasis and a gorgeous setting for you and your loved ones to say your vows and celebrate with friends and family. 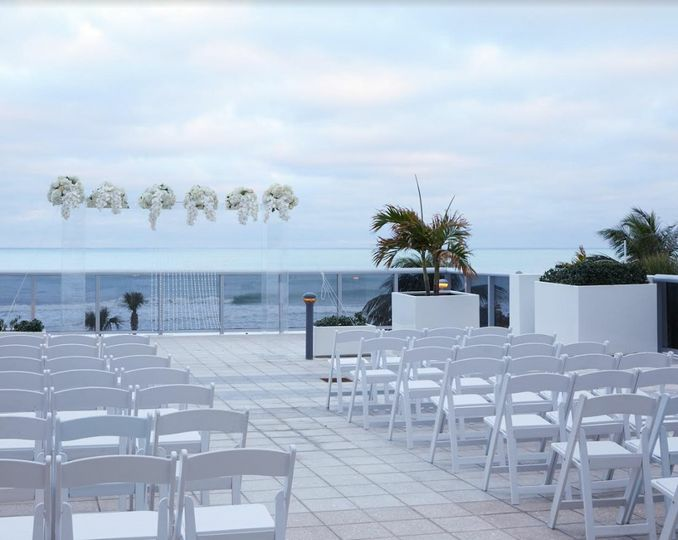 The Hilton Cabana Miami Beach offers a serene and elegant indoor setting for wedding ceremonies, receptions, engagement parties, rehearsal dinners, and much more. Additionally, this hotel makes it convenient for you and your guests to stay on site before and after the celebrations of your special day. 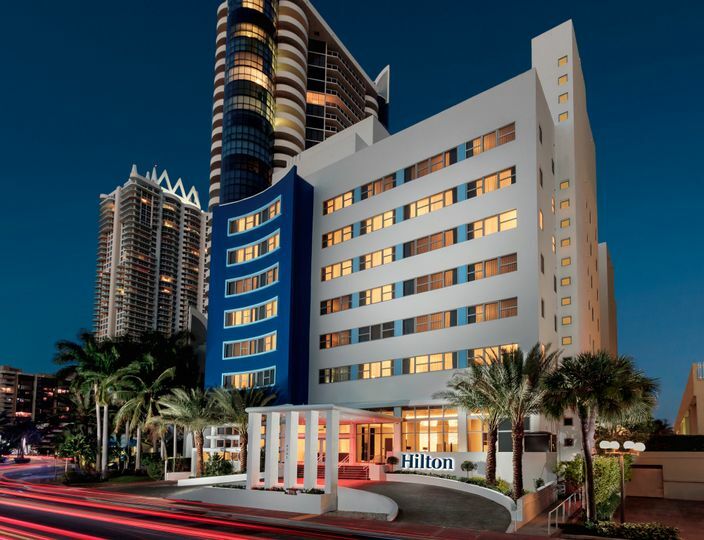 The Hilton Cabana Miami Beach offers an elegant indoor ballroom to host weddings and other life celebrations. The grand ballroom at this venue is newly renovated and offers modern amenities with a classic look. For a seated dinner and space for guests to dance, the 2,200 square foot ballroom at the Hilton Cabana Miami Beach can accommodate parties up to 100 guests. The hotel offers plenty of guest suites for you along with your family and friends to take advantage of during the festivities. 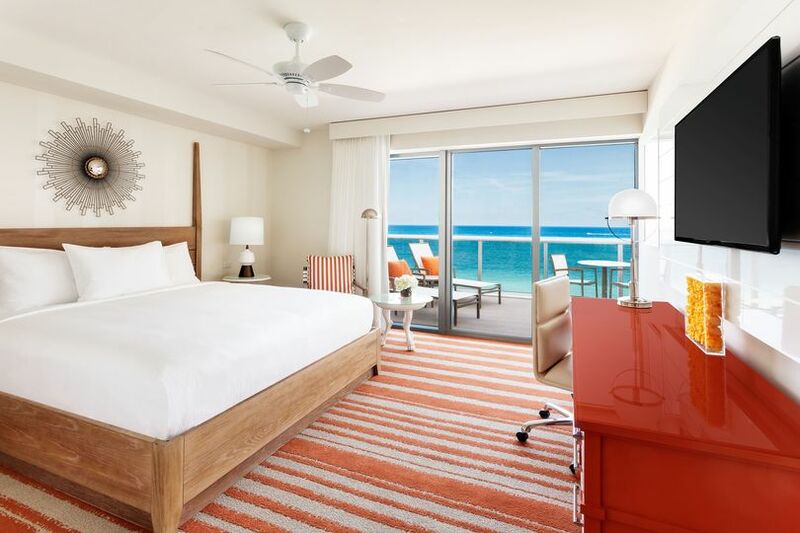 The hotel amenities feature a pool with beach access on Miami Beach’s famous Collins Avenue. 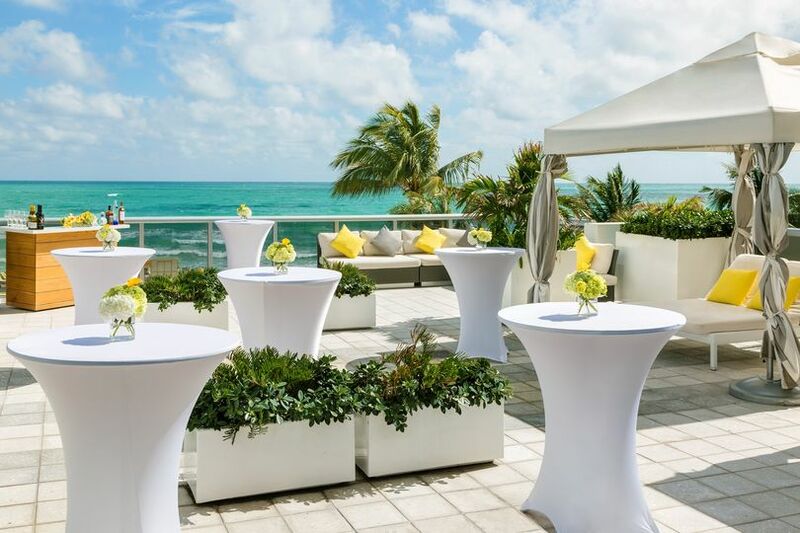 The Hilton Cabana Miami Beach offers their professional catering services for your special event. The staff can accommodate all styles of dining such as buffet style, family style, stations, and plated meals. Additionally, the catering services offers a champagne toast, cocktail reception, and hors d'oeuvres. 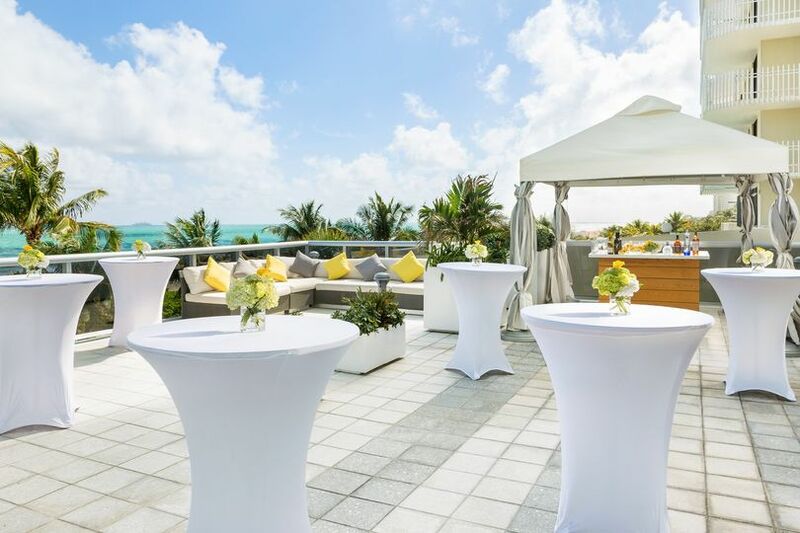 The Hilton Cabana Miami Beach can serve desserts and provide wedding cake, but also welcomes outside cake and offers cake cutting services as well. 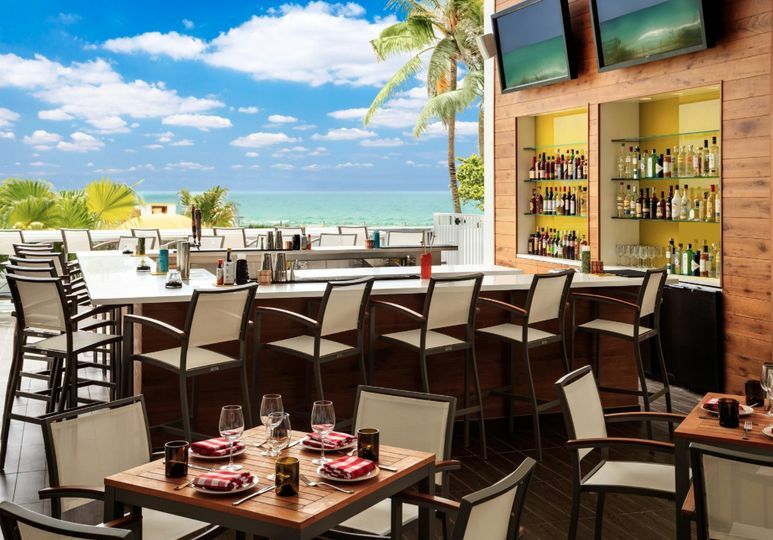 The Hilton Cabana Miami Beach also offers bar services. 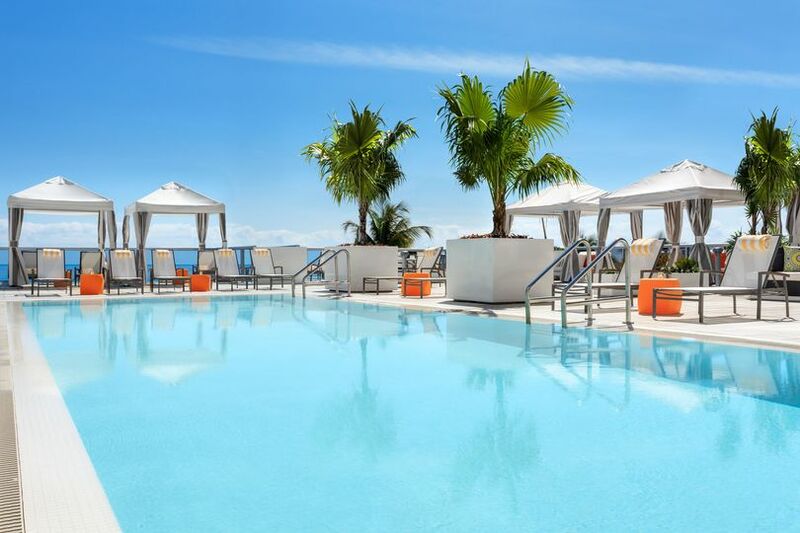 The Hilton Cabana Miami Beach will be with you every step of the way through your planning process. The friendly staff will offer their expert opinions and collaborate with you to bring your vision come to life. Set up and clean up services are included. Tables, chairs, glassware, flatware, and linens are also included so there is one less thing you have to worry about.